Years ago I had a brief conversation with marathon great Frank Shorter. I have twice run the Boston Marathon, and I told Shorter I couldn’t conceive of running a marathon at his personal-best pace (almost an hour faster than my own). 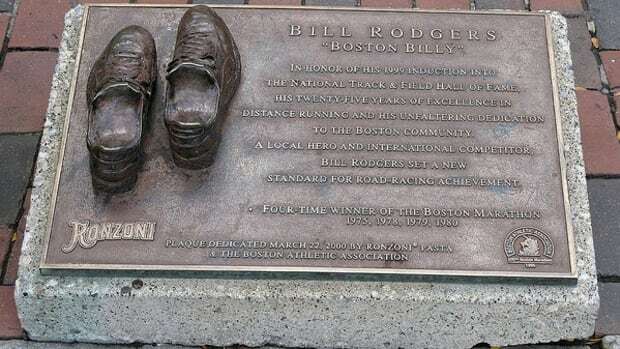 He quickly answered that he had enormous respect for people so committed to a goal that they would be out there running for more than three hours. 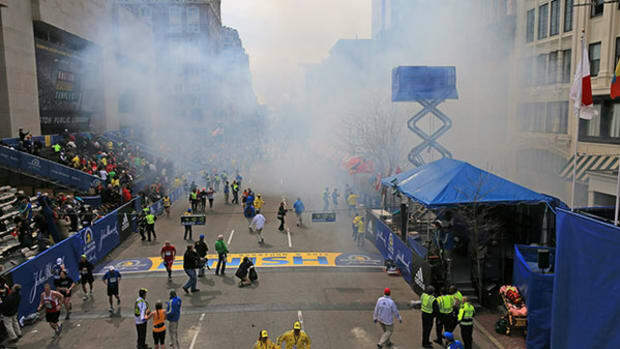 Today’s horrific explosions occurred almost two hours after the elite male runners finished the race, just about when the last third of the roughly 35,000 entrants were coming across the finish line. 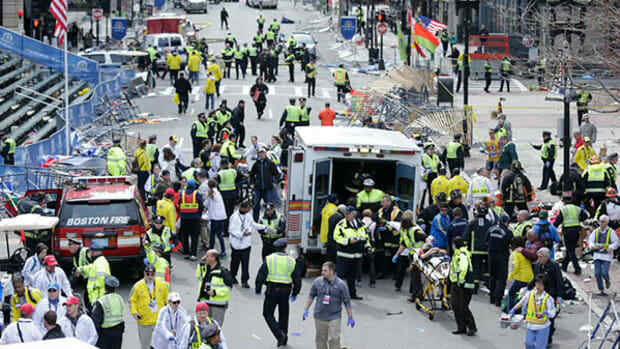 These people, and their friends and family, are the ones upon whom the bombers intended to inflict the most damage. 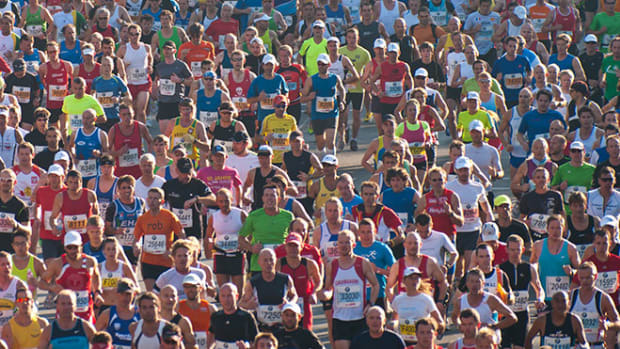 All marathons are about people overcoming physical and emotional challenges and accomplishing a personal feat. Boston embodies this everyman goal more than most. 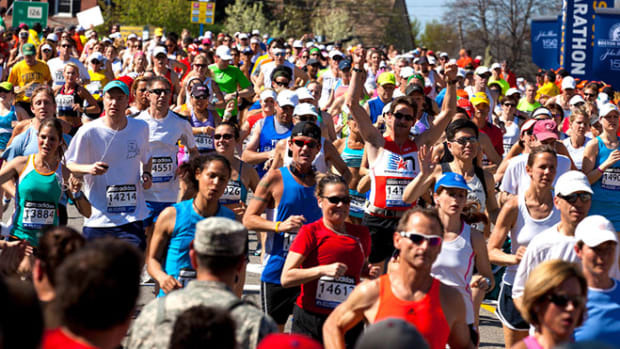 Unlike any other marathon, entrants in the Boston Marathon must attain an age-group qualifying time to be eligible. 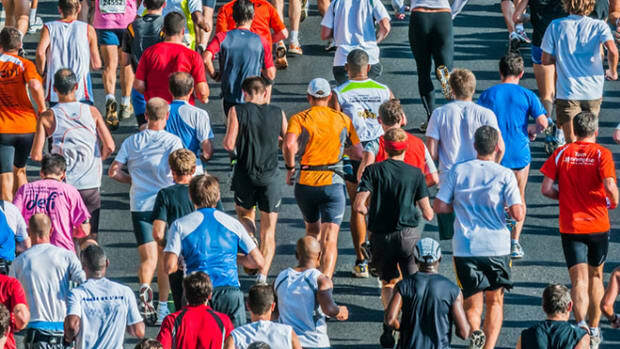 This not only ensures the race is populated by runners of far better than average ability but that virtually every runner in the race has run at least one marathon. These are experienced runners with enormous appreciation for this race. You need only fly out of Logan Airport the day after the race to see it: Everywhere are people draped in Boston Marathon regalia. Sure, they look a little silly, but they deserve the immense pride that comes with having done something that most cannot. 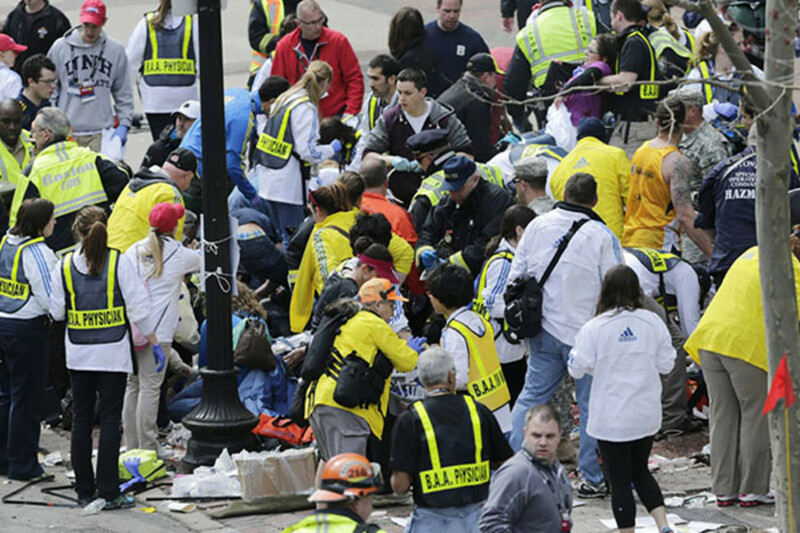 In the years I lived in Boston and didn’t run, I cheered on thousands of runners at about the half-way point from my former home in Wellesley, Massachusetts, so today’s events hurt in surprising ways. That an eight-year-old boy was killed just steps away from what simply should have been a celebration of discipline and commitment makes the attacks that much harder to comprehend. These senseless, brutal acts raise a natural sense of outrage and violation—but I’m betting that as the story unfolds, this one takes on a different cast. Marathoners—especially these marathoners—are a tough-minded, resilient, and, in my experience, caring lot. The same is true of the people of Boston. Already we are hearing of runners finishing the race and continuing to run to area hospitals to donate blood for the injured. 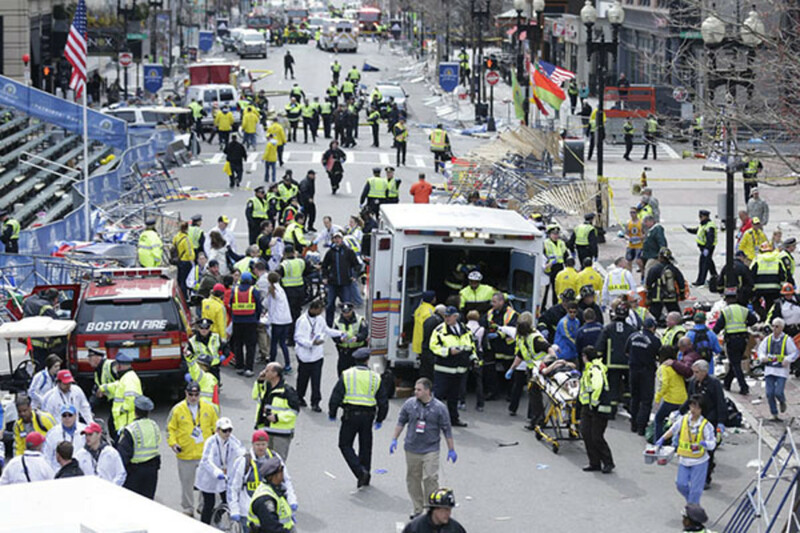 Local websites are asking Bostonians to help house runners who are now unable to get to their hotels near the explosions, and the response appears to be overwhelming. Today, bankers, plumbers, soldiers, and journalists are marathoners first. This is worth celebrating. 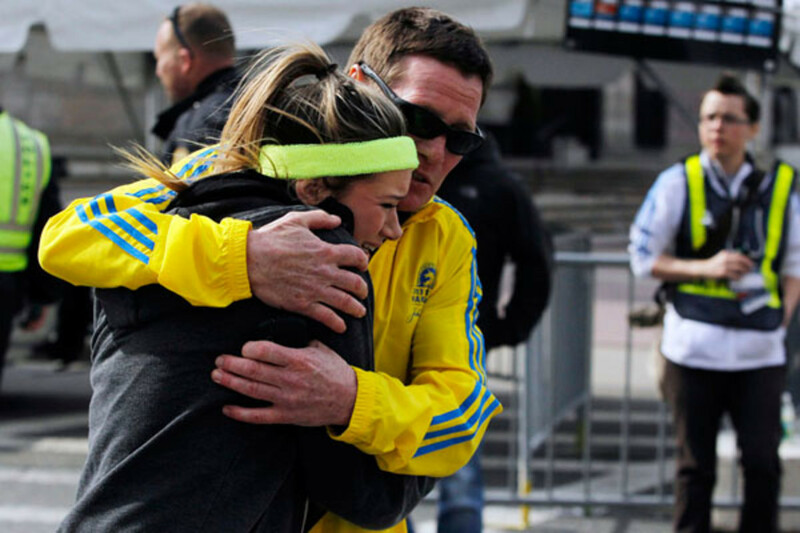 As a runner and former Boston resident I do not believe today’s events could begin to diminish the power and spirit of the Boston Marathon. Those responsible have taken an event where, for a few hours, everyone is reveling in the near-spiritual sameness of a common goal—conquering a challenging 26.2 miles—and attempted to attach evil to it. They have failed. As we have seen before, these horrific acts don’t break us, they strengthen us. I think in the coming days, we are going to witness that strength in ways we can’t yet imagine.